WANDERER: A person who travels aimlessly; a traveller. I started travelling when I was just a baby, I guess that’s how it all started. My mother’s first job was as a flight attendant back in the 70’s when it was one of the most glamorous jobs anyone could have (think about the crew from Leonardo Di Caprio’s movie “Catch Me if You Can”). In just a few years she had travelled around the world and seen everything from the Trevi Fountain to the Egyptian Pyramids. Eventually, she quit that job and started a family with my father. But the seed was already planted. My mother made sure to pass to all her kids the love for travelling and discovering the world; although you could probably say I’m the one who became more passionate about it. I can’t remember my first trip, I was too young, a baby, but it was to NY; and that’s probably the reason this city will always have a special place in my heart. What I do remember is the excitement before every trip as I was growing, counting the days till I was finally going to jump on a plane for an adventure to the unknown (I still get the jitters all the time) and the logistics, OMG, the logistics! I remember my grandmother used to dress me with the most unpractical and uncomfortable outfits. Practicality was the last thing on her priority list, wherever I was going I had to look my best (funny patent leather shoes and bow socks included). These days you can find me at any airport wearing sweatpants, oversized sweaters and no makeup whatsoever. Sorry grandma, I just can’t! Things have changed a lot since then, but that inexhaustible desire to discover the world still remains the same. To honour those days I decided to personalise my new Kipling bag with the word “Wanderer”, it now goes with me everywhere and it’s a great reminder of how and why everything started. You can also get yours personalised here. This time around in NYC was brief but intense. The objective, to celebrate my birthday and have as much fun as possible. I boarded the brand new A320 from Primera Air (haven’t seen a newer aircraft since my years at Airbus) full of excitement and ready to make the most out of the next few days in NYC! I got the opportunity to meet a lovely group of bloggers who were going on a press trip and we had the best time during the flight, it was almost like having a pyjama party up in the air. I’m not sure whether it was the crew (who had the best vibes ever and made us feel at home), the super spacious and comfortable seats, the food, the company or a mix everything; but the flight was very pleasant and felt shorter than it usually does. I guess it’s true what they say, time flies when you’re having fun. For those who haven’t heard of it before, Primera Air is a solid low-cost airline with regular flights across the main European destinations, and have recently launched a daily flight to New York between Stansted and Newark airports - fares start from just £149 one way. The concept of long haul flights on a budget is relatively new and there are very few airlines are which you can actually say offer affordable prices for long haul flights. Luckily Primera Air has come to change that. It is like an Air Shuttle that falls into higher quality category of low-cost airlines and overall a great alternative for some cost-conscious travellers. The experience at London Stansted Airport was pretty good considering that because of its size and the large amount of flights coming in and out 24x7, it is a very busy airport. But you can tell that they are continuously working on improving the costumer experience. The aircraft operating this route is a brand new Airbus A320, and as you can expect from a new airplane, everything is immaculate and in perfect condition. The Premium seats are rather comfortable and spacious, excellent to get a good night sleep or get some work done during the flight. The Economy seats are very comfortable and spacious as well (probably more than many other airlines that are not even low cost), just smaller than the Premium. One thing that is probably worth highlighting is that there’s no in-flight entertainment, so you better bring your own. But again, for what you’re paying for the ticket, you weren’t actually expecting that, right? …And the food, OMG, the food! The food was fantastic and the portions super generous. I had the opportunity to try different dishes from both the Premium and Economy menus and the only thing I regretted was not having more space to fit all the food in my stomach. Just kidding… No, but really. When you fly Premium all meals are included, but for a very small additional fee you can also include them as part of your Economy ticket. I personally think is worth doing it, especially for long haul flights. Once in NY I did all sorts of touristy things that I haven’t done in a very long time; like the view from the Top of the Rock and a cruise around the Hudson river to see the Statue of Liberty (all booked via TripAdvisor Experiences), a mandatory stop at Joe’s Pizza, lots of my mom’s food (as per usual), window shopping in Soho and TriBeCa (just window shopping this time I’m afraid) and lots of very, very good fun. I even had a birthday party at a club and it was CRAZY, I honestly don’t remember the last time I danced that much. This trip was very important for me because it allowed me to put a lot of things into perspective while enjoying quality time with my family and friends; which is always very grounding for me. Somehow over the recent years my birthdays became something I had no control over and let’s face it, they were pretty lame. No more. I decided that I had enough and took action on the matter. And you know what, it was epic! I’m pretty sure I’ll be back in NY very soon, but till then I’ll keep holding to the memories of this awesome trip. I’d love to hear your stories about the first trip you ever took and why you love travelling. Alright, eso es todo, amigos (for now anyway)! I love this post what a great back story! New York city is such an amazing place to be, there are so many cool things to see and do there. I love all the outfits in your post and your pictures are awesome. Primera Air looks amazing, I will definitely be looking into where they fly and see if I can get on one of their flights. Thank you for sharing this post! Such a great story! I wish my momma was a flight attendant too! I love New York, when I was much younger I dreamt to live there. Now that I am older, I just go visit whenever I can. The city has so much energy, and so much vibe. I never heard of Primera Air. Is that new? I should check it out, love the roomy seats. Beautiful outfits as well! Thanks for sharing! I love the background story! The first big trip I can remember taking was to the Atlantis, in the Bahamas. It was seriously so magical, and was an amazing week away with the family! OH it's my dream to go to NYC! I'm so jealous right now, as I've never been there. You are fantastic!!! Love your outfits and the story of your life. 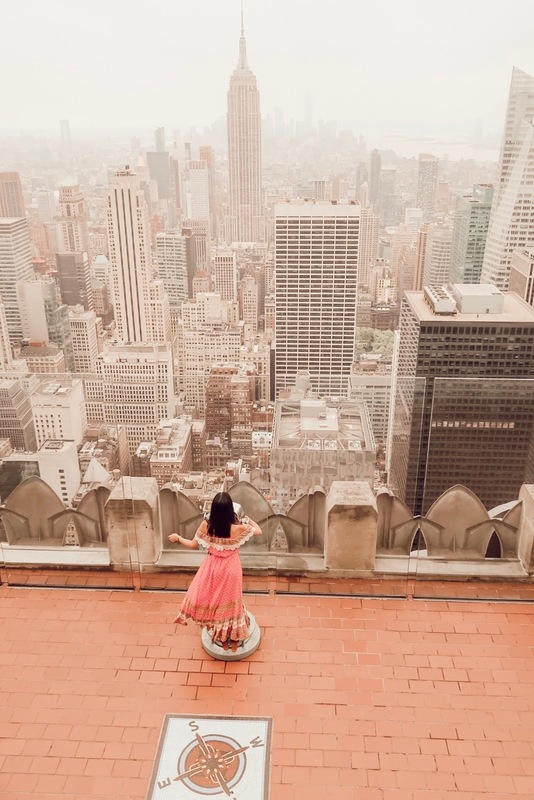 Your NYC trip looks amazing!!! Fun Fun Fun trip!!!!! 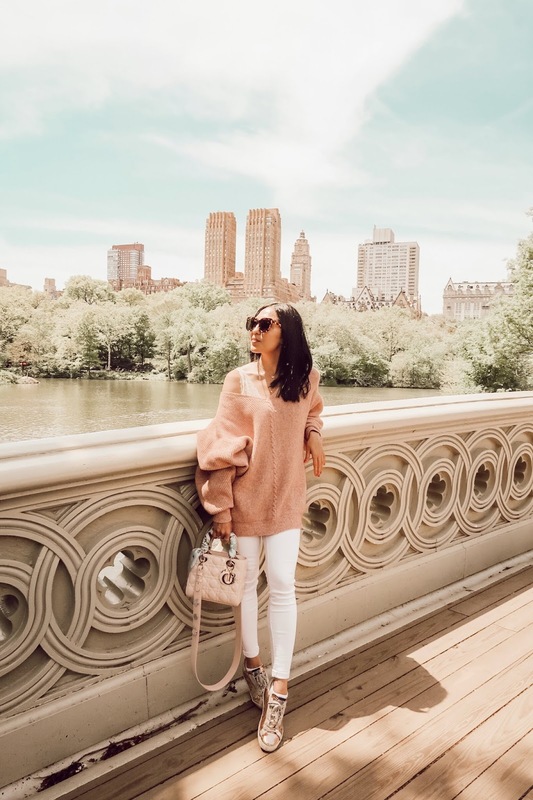 It has been quite a while since I have visited NYC and your photos are making me mega FOMO and I want to jump on the net and book a trip right now! Did you know, today is actually Book-a-Holiday DAY? First of all, your images are absolutely stunning. Loving the retro look and feel of them. And wow, such a wonderful story, very inspiring. I've always wanted to visit NYC and all those places. How wonderful it would be. I hope you spent an amazing time there, girl! Btw, loving every single outfit of yours! I have never heard Primera Air until read your post! It looks like a really nice airline with the seat arrangement and food choices. I will definitely check out where they fly. Love the roomy seats. Love all your stylish outfits and your pictures make me want to visit New York again.